Egyptians cerebrated the 25 January which coincide with the 25th Jan revolutions and the Police Day in Egypt. 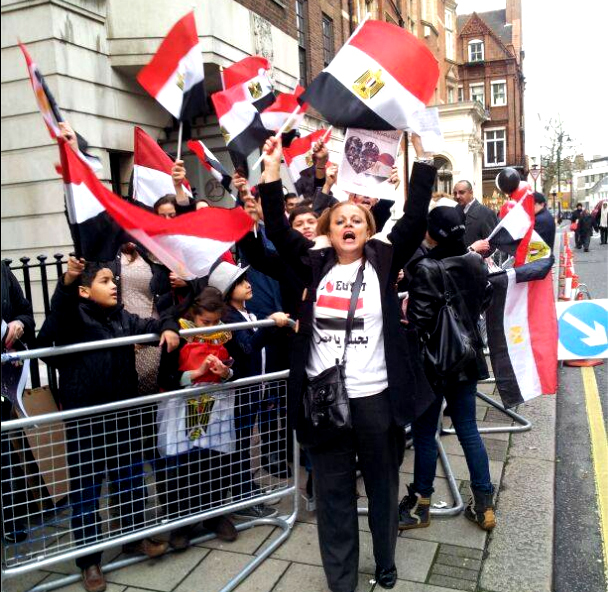 Tens of Egyptians cerebrated in front ov the Egyptian embassy. On the 23 January the Embassy had Dinners of members of the Egyptians community inside the Egyptian ambassador to UK Mr. Ashraf El-Kholi. WASHINGTON (Reuters) - The U.S. Congress' new spending bill would restore more than $1.5 billion in military and economic aid to Egypt, which had been largely cut off after Egypt's military ousted President Mohamed Mursi last summer. The bill includes up to $1.3 billion in military assistance, and $250 million in economic support for Cairo, but ties the funding to the Egyptian government taking steps toward restoring democracy. The funds also would only be available if the U.S. Secretary of State certifies to congressional appropriations committees that the Cairo government is sustaining its strategic relationship with the United States and meeting its obligations under the 1979 Egypt-Israel peace treaty. Barnabas Fund has given thanks in its prayer update for a new draft of the Egyptian constitution that grants additional rights to Christians and marks a significant move away from the fundamental Islamic laws that have dominated in the past. The organisation said the new draft was "good news" for the country's Christians, who have suffered a wave of attacks since the revolution in 2011. First written during the rule of ousted president Mohamed Morsi, the previous constitution threatened basic human rights, in particular the freedom of religion. The situation has been aggravated by the fact that Egypt is currently struggling with a weakened and unstable political system. Georgetown University has come under fire for inviting a founder of the Egyptian Nazi Party to a conference planned for December on the future of Egypt, which will feature a keynote speech by Representative Keith Ellison of Minnesota, the first Muslim member of the United States Congress, and Dalia Mogahed, a former adviser to President Obama. A court in Egypt has dismissed an appeal by the Muslim Brotherhood against a ban on all its "activities" and the seizure of its assets. Lawyers had sought to halt the implementation of the 23 September ruling affecting the Islamist movement, its NGO, and any affiliated groups. Brotherhood officials said they would now appeal to a higher court. 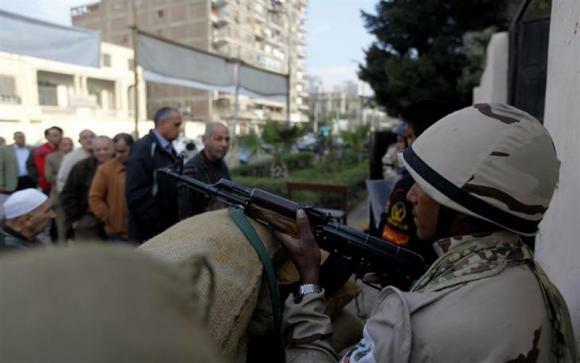 The interim authorities have cracked down on the group since the army ousted President Mohammed Morsi in July. A majority of the committee tasked with amending the suspended 2012 constitution has voted to revise article 47, which guarantees the free exercise of religion for all citizens, committee media spokesperson Mohamed Salmawy said on Monday. Thank you for the opportunity to speak to you. This is a quick attempt to summarise some of the issues that are pertinent to possible misunderstandings of the Egyptian situation in the current crucial time in the Middle East. I cannot get into the details since I have ten minutes or so. On 25th January the Egyptian people rose up against three evils; and sought three goals. The three evils were the corruption of the governing regime, its oppression, and its plans to pass the presidency on to Mubarak’s son Gamal. The three goals were bread, freedom, and social justice, which were chanted in Tahrir Square and all over the country. The Egyptian people never sought a religious state. After Mubarak stepped down, the lack of clear leadership enticed various forces to seek to dominate the outcome – not least the Islamists, including the Muslim Brothers and the Salafis. Egypt Crisis Sidelined at U.N.
UNITED NATIONS—When hundreds were killed in Egypt after interim authorities cleared out antigovernment protest camps in August, the country's political crisis moved front-and-center of the world stage. U.S. President Barack Obama suspended joint military exercises with Egypt. European foreign ministers rushed back from summer vacations for an emergency meeting. Iran's foreign ministry said Egypt was drifting toward civil war. Six weeks later, at the annual United Nations General Assembly meeting in New York, Egypt's crisis has seemed a side issue, a regrettable irritant that needs mentioning but not tackling. That is partly because of the magnitude of other news here this week, including the highest level U.S.-Iranian diplomacy since the 1979 revolution and a much-prized U.N. Security Council deal ordering Syria to hand over or destroy its chemical weapons by mid-2014. Read more: Egypt Crisis Sidelined at U.N.
Saudi Arabia blamed the United States and other allies for failing to support Mr. Mubarak in 2011 when Egyptians took to the street provoking his ouster. But their criticism was mostly in private, and low-key. Even after the Muslim Brotherhood-backed government of Mr. Morsi was elected, the kingdom responded quickly to keep the treasury solvent with a substantial $5 billion in aid. By July 10, one week after the military takeover, the Saudis had put together a package of aid totaling $12 billion: $5 billion from the kingdom, $3 billion from the United Arab Emirates and $4 billion from Kuwait. Unlike American aid, much of the Saudi assistance goes directly into Egyptian coffers with no strings attached. Much of it is cash transferred directly to the Egyptian Central Bank, with the rest grants of free or subsidized oil products, which free an equivalent amount of money for Egypt to budget as it wishes. Jerome R. Corsi, a Harvard Ph.D., is a WND senior staff reporter. He has authored many books, including No. 1 N.Y. Times best-sellers "The Obama Nation" and "Unfit for Command." Corsi's latest book is the forthcoming "What Went Wrong? : The Inside Story of the GOP Debacle of 2012 … And How It Can Be Avoided Next Time." U.S. Republican Senators John McCain of Arizona and Lindsey Graham of South Carolina. The Republican chairman of the House Foreign Affairs Committee and its ranking Democrat have released a joint statement suggesting support for the Egyptian military’s July 3 coup against President Mohamed Morsi. released a joint statement suggesting support for the Egyptian military’s July 3 coup against President Mohamed Morsi. The statement, by Reps. Ed Royce (R-Calif.) and Eliot Engel (D-N.Y.), argues that Morsi and the Muslim Brotherhood had not pursued “real democracy.” It also urges the military to “exercise extreme caution” in moving forward and to “support sound democratic institutions” as it does so. The House Foreign Affairs Committee could play an important role in determining how Congress guides or pressures the Obama administration’s response to events in Egypt — which may itself be a key factor in how the coup-backed government behaves. Foreign Office Minister Alistair Burt has responded to a Written Question tabled by Conservative MP Sir Edward Leigh, who asked what steps the Foreign Office is taking to ensure the safety and rights of religious minorities in the Middle East. In his reply, the Minister stated that the Foreign Office regularly urges governments across the Middle East to uphold the rights of all religious minorities, and closely monitors the situation of minority religious groups. After mentioning the Foreign Office’s recent representations to the Egyptian and Syrian Governments to protect minorities, the Minister stated that across the Middle East the situation is one of “exceptional seriousness” for many religious minorities. LUXOR, Egypt (AP) — An Egyptian court has convicted a Coptic Christian teacher of blasphemy but didn't hand down a prison sentence and only imposed a fine on her. The court on Tuesday ruled that elementary schoolteacher Dimyana Abdel-Nour had insulted Islam. It ordered that she pay a fine of 100,000 Egyptian pounds ($14,000). 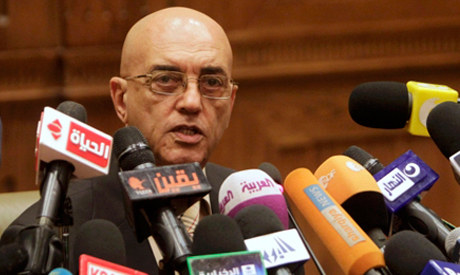 Abdel-Nour was not in the courtroom for the verdict. 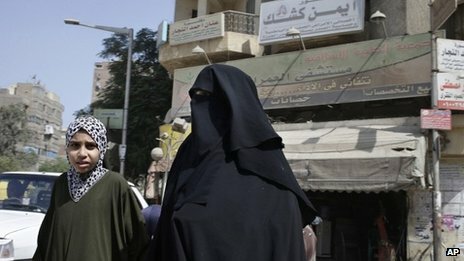 The case in the ancient southern city of Luxor began when three parents said their 10-year-olds complained at home, saying their teacher showed disgust when she spoke of Islam in class. Angry Islamists protested the verdict outside the courthouse. Egypt has witnessed a surge in blasphemy charges in recent months, widely seen as a reflection of the growing power of Islamists. Blasphemy became a criminal offense under Egypt's new, Islamist-backed constitution. To ask Her Majesty’s Government what is their assessment of the situation of religious minorities in Egypt since the Arab Spring. Lord Wallace of Saltaire: My Lords, Egypt has witnessed an upsurge in sectarian violence during the transition period. Foreign Office Ministers have been clear throughout the events in Egypt that have taken place since the revolution that the freedom of religious belief needs to be protected and that the ability to worship in peace is a vital component of a democratic society. We continue to urge the Egyptian authorities to promote religious tolerance and to revisit policies that discriminate against anyone on the basis of their religion. 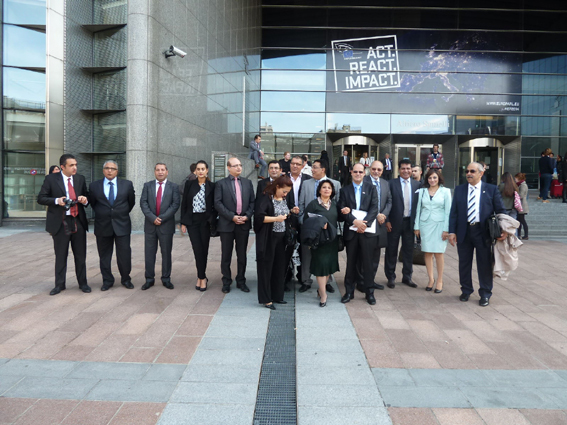 We are also in contact with representatives of the Coptic Church and other religious groups. Baroness Cox: My Lords, I thank the Minister for his sympathetic reply. Is he aware that since the downfall of President Mubarak there have been attacks on Sufi shrines, the marginalisation of the Baha’is, hostility towards Muslim secularists and a massive escalation of assaults on Christian communities, including the Coptic cathedral, when security forces stood by doing nothing to deter the violence? 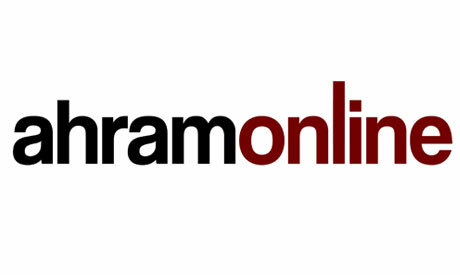 In what specific ways have Her Majesty’s Government encouraged the Egyptian Government to create an environment of social cohesion, reduce tensions and promote mutual respect between adherents of different faiths so that they can live together as equal citizens in a nation that recognises their rights and values their citizenship?